My name is Brent Haines, founder of Woodsounds Flutes. As an engineer, my life is making peoples dreams into reality. As a flute maker, I feel greatly blessed to be able to create wooden flutes that allow people turn their dreams and feelings into music magic. Over the years, I have helped hundreds of people begin playing the flute and have seen them create magical experiences. Flutes actually date back to prehistoric times in cultures all around the globe. These ancient people used the flute for ceremonies, for healing, some undoubtedly for love, and surely just for pleasure. It is easy to imagine these ancient people making music as you hear the sounds of a well made wooden flute today. Today we can touch the ancient and share the magic the flute creates. Learning the flute truly is easy. 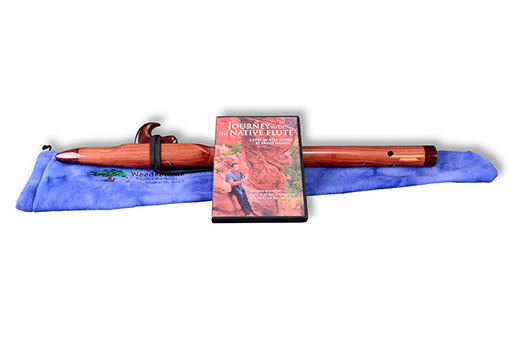 As you to begin your Journey with the flute, I highly recommend that you purchase the DVD Journey With The Native Flute as it is an excellent tool for learning the flute from beginer to advanced. The first thing that captures your attention is the elegant craftsmanship and design of Woodsounds Flutes. You ask yourself, “is this an actual instrument or artwork? Could it actually sound as good as it looks?" If you’re a musician of any sort, you can’t resist reaching for it... then the second thing grabs you, "This feels good! The curves, the texture, the fine wood grain is all right. The sound, the sound, lets hear the sound!" Then it comes. Tones that flow sweet, rich and deep. So thick that they fill the room. They caress the ear and heal the heart. Then you realize what it means; The true essence of music is what comes from the heart. I LOVE my two new flutes! They are so beautiful, both in sound and in beauty. They are really spectacular and very special to me. I especially love the little bear on the A flute! It is so perfect! You must wonder at times where you flutes go, and how they uplift or bring joy to the lives of those who own and play them? In my case my job (as an IT Business Analyst) is quite stressful and hectic...and often with long, tiring hours. When I come home I seek to have something that relaxes me and takes me away from the stresses of the day. The Native American flute for me is something that is instantly available to give me a peaceful, serene, meditative calm, after a hectic day...even if I never play superbly. I find it magical the way the music just seems to transport me away, and your instruments especially have such a wonderful sound that brings me so much peace and light. And now....to be able to own and play several of your beautiful instruments - it only adds to my joy! Thank you. I cannot wait to get at least one more. Many of our clients say we are the best Native American style flute makers in the world and we are trying to live up to their expectations. 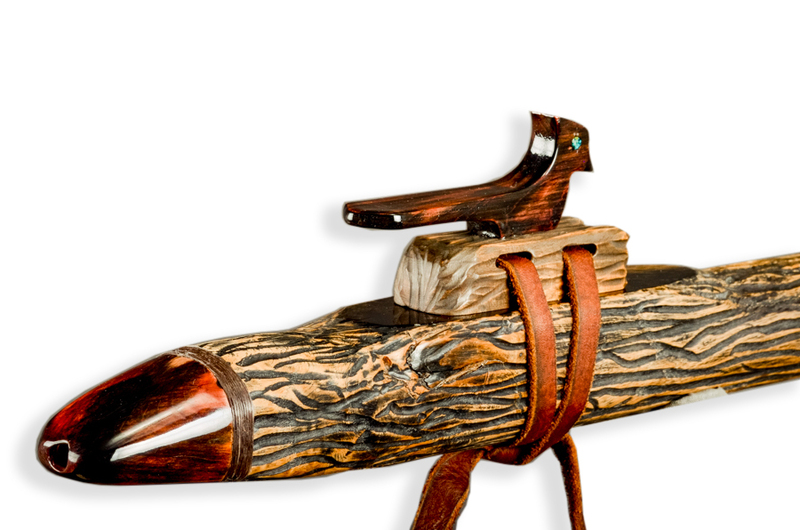 Many of today's top Native American style flute performers use Woodsounds flutes for their recordings and performances. "When I am on stage and I pick up my Woodsounds flute I know it is going to perform the way I want it to." "Brent, I could never make the music I make without your flutes. Of all the hundreds of different flutes I have tried, only yours do what I want them to do." Masaerati of the flute world and are the most beautiful flutes I have ever played." Brent's flutes are addictive and cool. There is something unique about his voicing and their appearance stopped me in my tracks...literally. Are you ready to try your first Woodsounds flute? 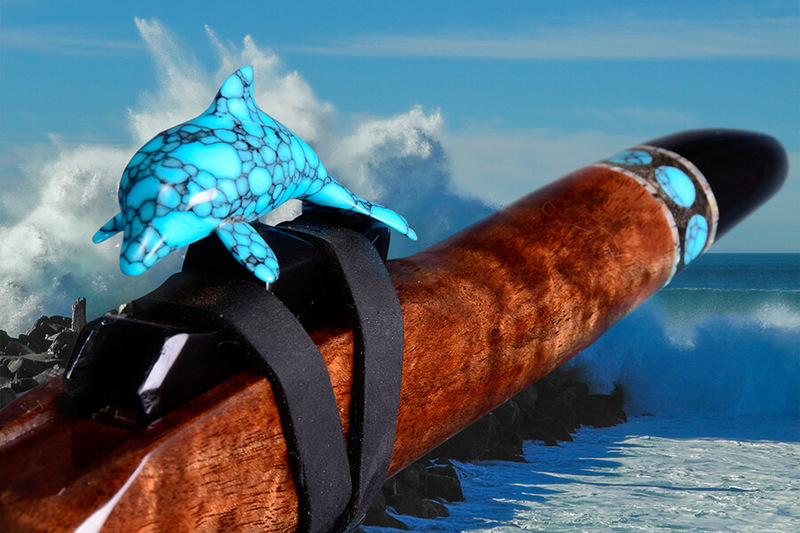 If you are already thinking to buy your first Native American style flute, I recommend that you visit our Buying Your First Flute page now. If you thinking you would like a more exotic flute please visit our current Woodsounds inventory. Have you signed up for the Woodsounds News Letter? If not, make sure to sign up by clicking here. What do you finish your flutes with!?? It is amazing!! This is perhaps the most frequent question we are asked. We like to say it is our "7 secret herbs and spices..." The reality is that our finish is the result of a lot of hard careful work. The finish material is a non-toxic safe for the body material that is hard as nails and clear as glass. It is polished with just care that you are going to love the way it looks and feels! Why would a Chemical Engineer be creating Flutes? Quite simply...love for the instrument. From the very first time I played the flute, I began researching the fine details of flute design. I even applied my engineering experience to computer modeling. Like a fine wine, I constantly travel different regions in search of the right wood for the right sounds. When it’s all said and done, it's the beautiful sound that feeds the spirit and inspires our craft. What is your favorite flute wood? I love all the varieties of wood and spend a large part of my time looking throughout the world for new varieties that I have not yet had the chance to make a flute from. Burls are perhaps my favorite to look at and they also tend to have a very smooth sound. But there are many woods that sound wonderful and look wonderful too. The real question is, what wood resonates with you? I would love to help you figure this out! Can you play the flute? I have taught hundreds of people how to play the flute in five minutes or less and I can teach you too. Please continue on to our Buying Your First Flute page to see an instructional videoon playing the flute. Or if you would rather, take a look at our current inventory of beautiful flutes.